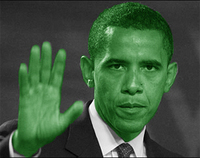 The Inspired Economist asks the question this week as to whether Obama’s stimulus package is green enough. Linking to a report in The Guardian it is pointed out that the $100 billion allocated to green measures amounts to less than 13% of the total package, some way below that recommended by economist Nick Stern. South Korea, by comparison, has devoted two-thirds of its $36bn recovery package to green investment and China one-third of its $580bn. It is observed that 13% is significantly better than what might have been the case under the previous administration given it spent the best of part of eight years in climate change denial. However, this is likely to be small comfort for those reading the reports last week that climate change is worse than the IPCC thought. The headline news in The Observer today is that we have to cut back on meat consumption if we want to get serious about addressing climate change. This ‘controversial’ statement (according to the article) made by the Chair of the United Nations Intergovernmental Panel on Climate Change, and Nobel Peace Prize winner, Dr Rajendra Pachauri, is old news and it is amazing it hasn’t been given the airplay it deserves. Meat production accounts for around 20% of global greenhouse gas emissions from the production of animal feeds, but also from the farts of livestock! A bigger worry is that meat consumption has quadrupled in the last 50 years and is on course to increase even more dramatically as China and India get richer and demand for higher protein diets increases (maybe less so in India given the religious factors governing vegetarianism). Although meat is rich in protein, other good sources are potatoes, whole wheat bread, rice, broccoli, spinach, almonds, peas, chickpeas, peanut butter, tofu (soybean curd), soymilk, lentils and kale. Far more protein per hectare can be produced this way than through raising livestock. Not only this, but far less water is required. According to John Robbins, it roughly takes 60, 108, 168, 229 pounds of water to produce a pound of potatoes, wheat, corn and rice respectively. 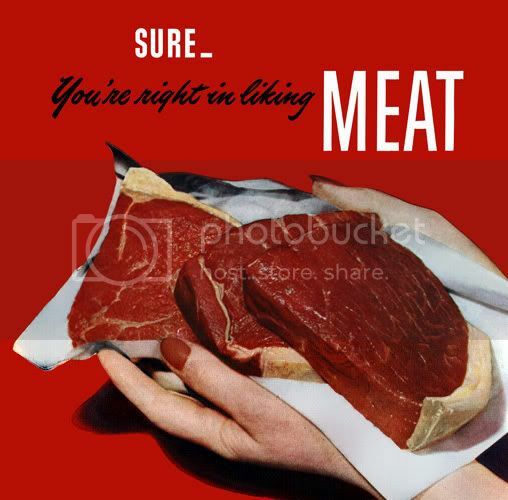 He reports that a pound of beef however, requires 12,000 gallons of water. The Guardian reports today that another study by the Intergovernmental Panel on Climate Change (IPCC) — due out soon — concludes that a critical meltdown of ice sheets and severe sea level rises could be inevitable because of global warming. Well known for its conservatism, even this body now believes that widespread ice sheet loss “may no longer be avoided”. According to the UN scientists this would cause “major changes in coastline and inundation of low-lying areas” and require “costly and challenging” efforts to move millions of people and infrastructure from vulnerable areas. The previous official line, issued in 2001, was that the chance of such an event was “not well known, but probably very low”.